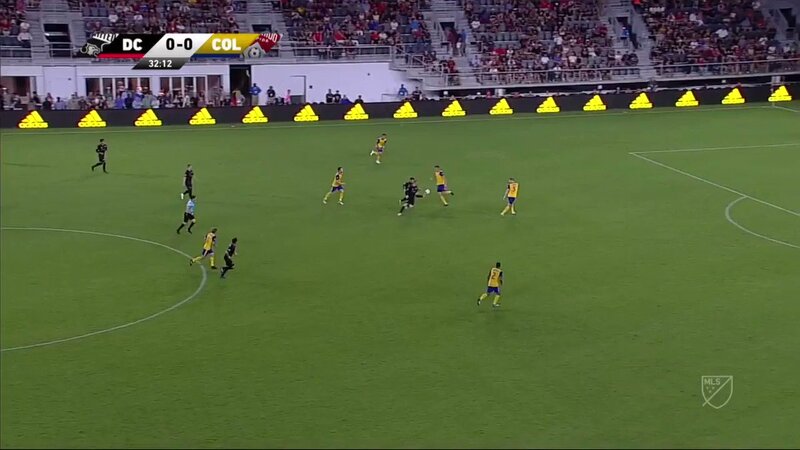 Wayne Rooney enjoyed a night of ecstasy and agony as he scored his first goal for new club DC United in a 2-1 win over Colorado Rapids but later broke his nose. Captaining the MLS side in his third game for the club, Rooney opened the scoring when he latched on to a through ball and fired through the legs of his former Manchester United teammate Tim Howard. It was his first goal for the American club after moving from Everton earlier in the summer. The former England striker saw his strike cancelled out by a Kellyn Acosta equaliser. Rooney had two more chances to score but Howard kept the scores level with two saves, only to be beaten by his own player, Niki Jackson, in the 90th minute. It was not the Rapids defenders last influence on the game, as he went on to inadvertently break Rooneys nose in injury time when the striker was providing defensive support in his own area. Jackson was pushed by a teammate, resulting in the back of his head butting Rooney. The blow to Rooneys face resulted in a gush of blood pouring from his nose, which it was later confirmed to be broken. The former Everton forward was bandaged up and sent back on to the pitch but later required five stitches to solve the issue. Rooney did not give blood in vain as DC United held on to win, their first victory in three matches, although they remain bottom of the Eastern Conference. The 32-year-old later tweeted: delighted to score my first goal for DC United, adding that he had acquired a broken nose and five stitches. The DC United coach, Ben Olsen, said: I dont think its the first time hes bled in a game. He is a tough guy and I think that he will shake it off. But again, it shows you what this means to him right now. He is in the box, putting his face on the line, understanding that this is a big moment. He has been fantastic in every aspect, in every way that we want him to be with this group … with his leadership and goal-scoring ability. Hopefully, it can continue to get better. This flight attendant had a gut feeling about human trafficking. So he followed it.